"Strange adventures and untold tests lead to the keys and the Travellers' Quest. Treasures and wonders under the ground! Seeking the lost; discover the found. Whoever knows the journey's end may find the beginning once again" Ted and his friends Bill, WIll and Sarah, find themselves on a wonderful adventure along mysterious paths in Rainbowland. Along with dwarves, humans, and a Krienol named Ichabod, they discover treasures long hidden in Rainbowland. And they find an invisible island and make an intrepid underground journey through tunnel and cave. 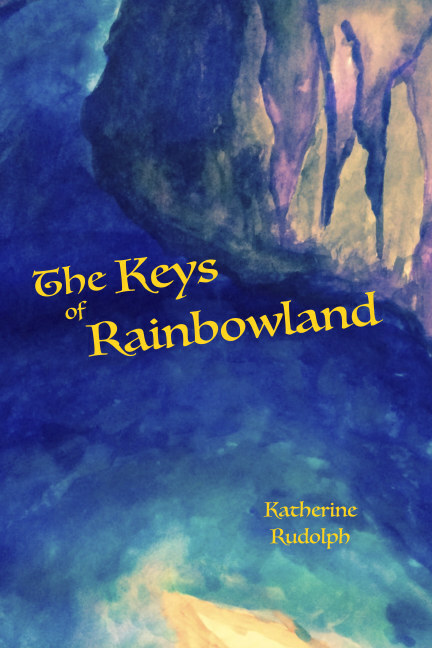 Children in primary school on through to adolescence - along with all lovers of fantasy and adventure - will be delighted and entranced by this 260 page illustrated visit to Rainbowland. Interwoven into the plot are many verses, poems and artistically crafted speech exercises. Its dramatic, 'fairy tale' qualities, and its metres and rhymes, are carefully chosen and could be used by teachers and speech therapists for a range of educational purposes.